iTunes Won't install on Windows 10, How to Fix it? Home >> HOT TOPICS >> iTunes Music & Playlist >> iTunes Won’t install on Windows 10, How to Fix it ? iTunes Won’t install on Windows 10, How to Fix it ? Windows 10 has been available since the end of July. However, when you upgrade to Windows 10, you will find so many unsolved issues which are creating bugs for users. The deeper you explore, the more problems will appear in this system. And the latest issue seems to be with those iOS users trying to install iTunes on Windows 10. A great many users complain the installation issues that iTunes are suffering from the same thing on Windows 10. If you are trying to install the latest version of iTunes and receive the installation errors above, you might reinstall and run the whole process in Administrator mode and only to find that it still doesn’t work, as you could be installing wrong files not suitable to Windows 10. Instead of getting it from Apple, why not get the installer directly from Apple’s servers for your version of Windows 10. 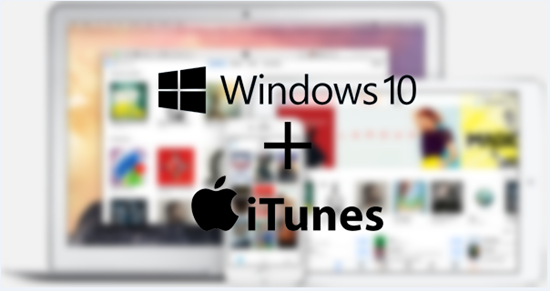 Note: Windows 10 users are require to download the correct iTunes file from the link above. For example, If you have a 32-bit or 64-bit Windows configuration, you’ll need to download iTunes 12.2.1,16 for Windows as 64-bit iTunes file might not work correctly on a 32-bit configuration.